A Southern California native, with a love affair for all things creative. My heart skips a beat for thoughtful details, unique surprises, and dancing in the moonlight. I believe a little (or big!) party never killed anybody and if you smile amazing things will happen. Most importantly, every person is a new door to a different world. Christy is the lead designer and coordinator behind To La Lune Events. 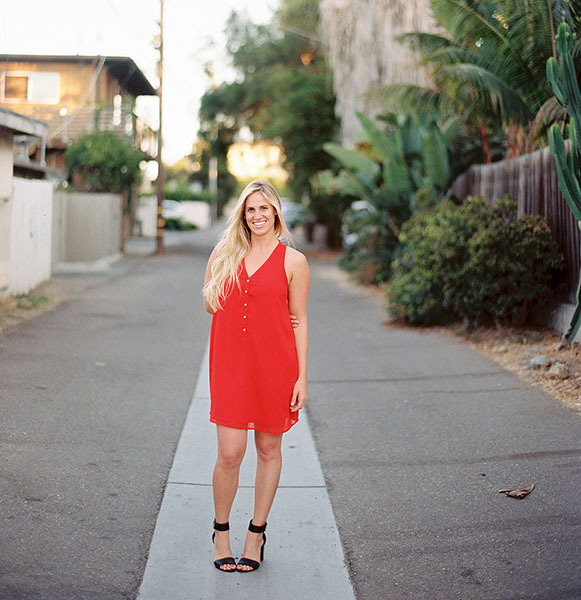 After graduating from The University of California Santa Barbara, she went on to pursue her curiosity and love for the wedding and event industry. A driven self starter at heart, Christy followed her passion into entrepreneurship creating To La Lune. To La Lune is a boutique event design, coordination, and styling studio passionate about the smallest of details that go into creating one of a kind events. We currently split our time between Carlsbad, California and Ithaca, New York. Rumor has it, we have a bit of a travel bug and an infatuation with airports, so no destination is too far!